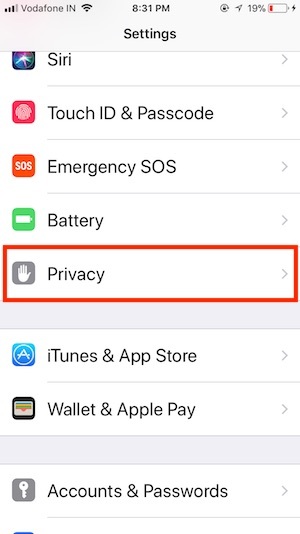 Update Your old tricks for a stop or Reduce Mobile data usage in iOS 12 on iPhone and iPad. We can set limits and save lots of data in a day from waste. That also helps in your Data pack or Bill amount. Extra benefits are using the fast internet and save battery life by reducing data packet load and waste time on load data on the app (Mail App, Social app, Maps and many other) or Browser (Safari, Chrome). Limit on mobile data usage optimizes internet data connectivity on the poor network or out of coverage. Till now Apple doesn’t give an option for set alert or notification for over limit data use on iPhone or iPad. But some carriers providing Messaging service on remaining data or usage data through text message. A tremendous alternate option to keep installed Mobile carrier app and sign in with your account. Know updated status on Running data or Voice plan, Available balance, credit, and Offers. 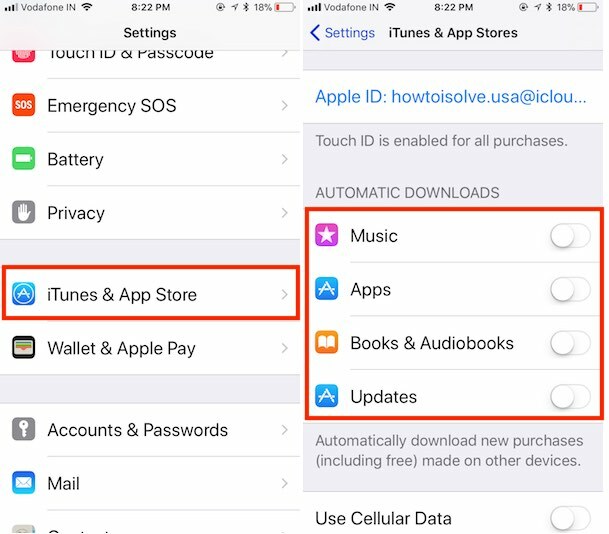 A bunch of tactics through you can learn what to do to limit data usage in iOS 12, iOS 12.2 running on iPhone, iPad and iPod touch. 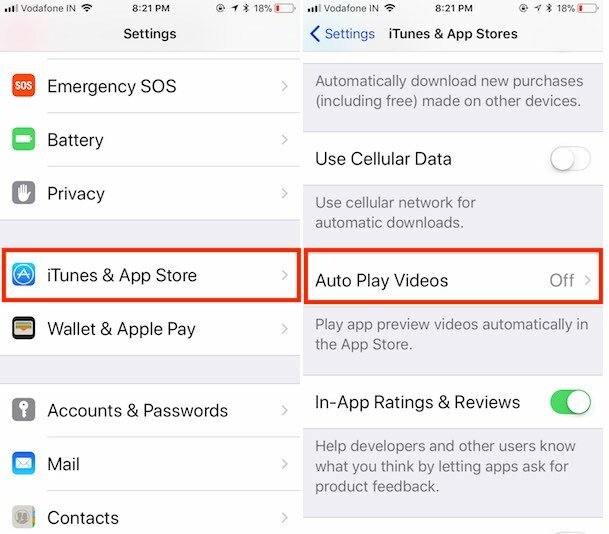 in Latest iOS App store, turn off AutoPlay Videos in App Store while Cellular Data is turned on. Otherwise, your iDevice will eat too much data in iOS 12. Go to the Settings > iTunes & App Stores. Scroll down to the AutoPlay Videos > choose Off or Wi-Fi only. Disable auto app update and download from App Store on Mobile data. 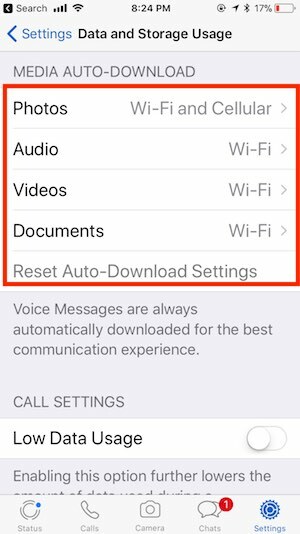 Go to the Settings on the iOS device. Next, See the Automatic Downloads section, I would like to recommend turn off (Music, Apps, Books & Audiobooks and Updates). Also, disable media file download from the app-specific settings like WhatsApp (Open WhatsApp > Settings > Data and Storage Usage > Enable Photos, Audio and Videos for Wi-Fi Only or Enable Low Data Usage). 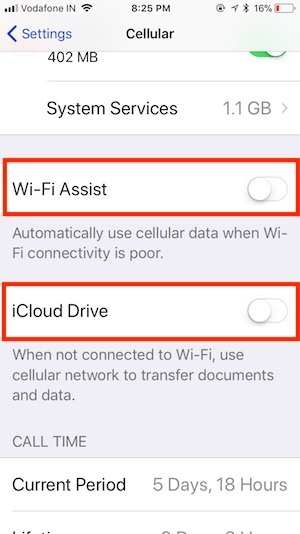 With this option, iCloud Drive only uses Wi-Fi for transfer data to iCloud. 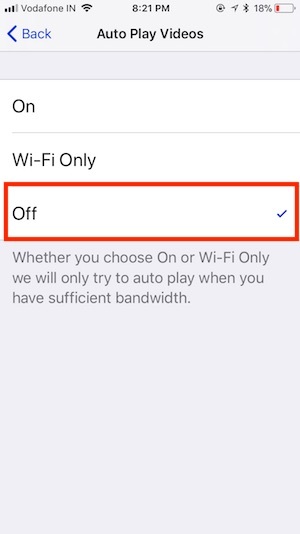 Disable This, Preventing to use or Turn on Cellular data automatically when Wi-Fi not available or Poor connection. Live App (Maps, Stock, Weather, and many others) use the internet while not in use but running in the background. 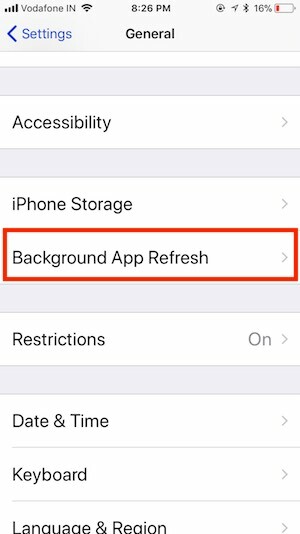 So stop all app background process from settings. Go to the Settings app on iPhone, iPad or iPod touch. Video and Music consume more internet source that other text, picture, and Other files. 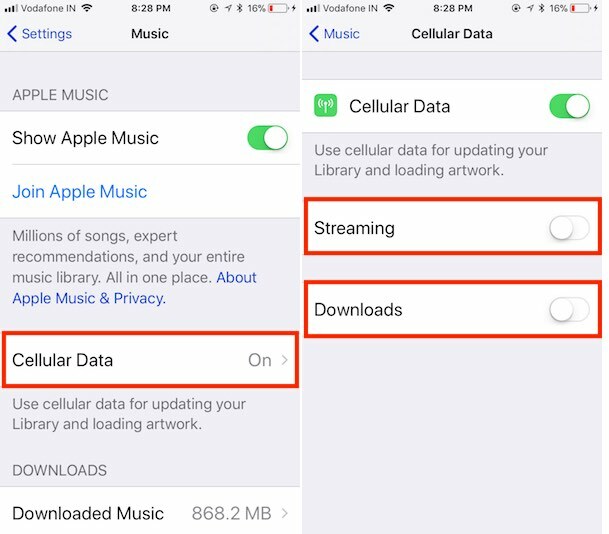 For the Apple, Music disables Streaming and Download for apple music. Go to the Settings > Music. 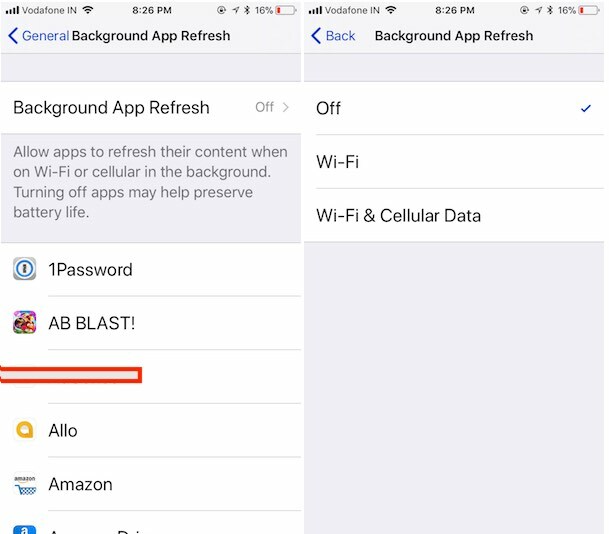 This mode plays a significant role to save mobile data usage in iOS 12. 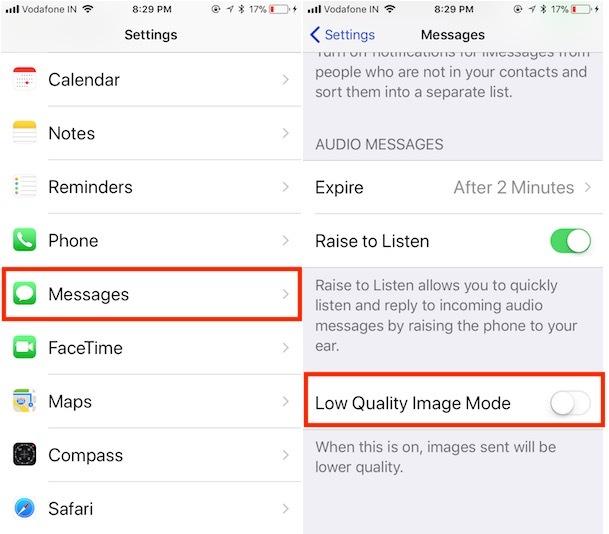 Message app: Enable low-quality mode, After Enable this option images sent will be of lower quality. Go to the Settings > Messages > Low-Quality Image Mode Enable it. This smart way to save battery for a long time. 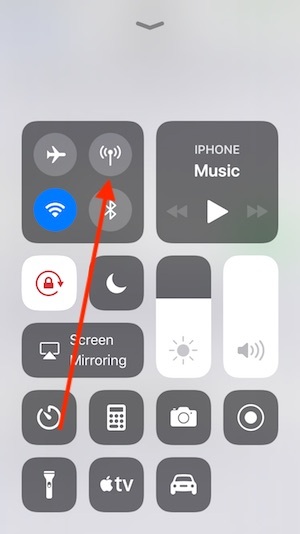 Now in iOS 11- iOS 12, we can disable Cellular Data from control center or iPhone Settings app. Read more: Customise control center, Add new control. Open Netflix app on iPhone, iPad, iPod Screen. Next, Tap on the Netflix menu icon, then select App settings. Choose your preferred settings from six different estimated data usage. Tap on Profile icon at the top right corner of the screen. 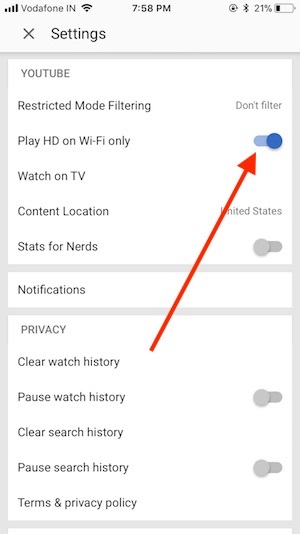 Enable Play HD on Wi-Fi only, That means cellular data don’t stream HD video. Know list of apps used data for the Specific period. 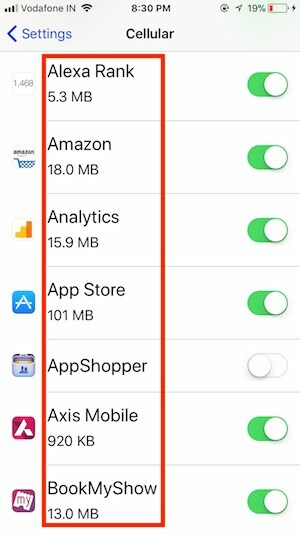 Otherwise, Reset Statistics data and Re-Map or Measure which app uses how much data? None-GPS or None-location based app sometimes track the location and use Data usage in the background. To disable it from iPhone settings for all the apps or selective app. 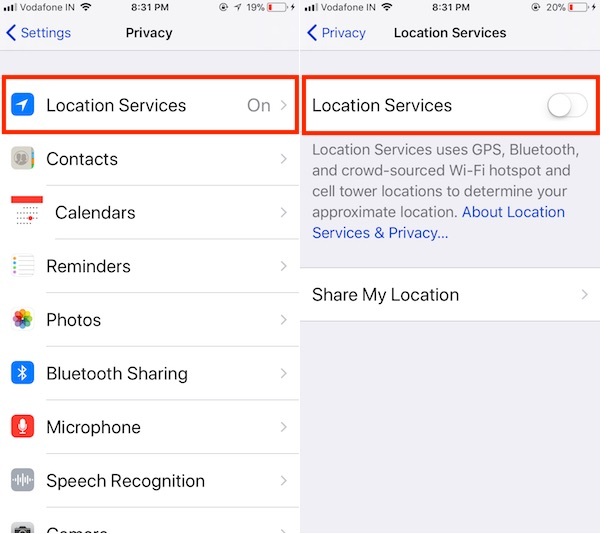 Next, Tap on Privacy > Location Services and Disable toggle. Also, find by Scroll down and Set never for the specific app from the list. Above tricks, you can apply on other Mobile platforms. Otherwise, you would pay overage fees for the data usage. To avoid such thing to happen then it is wise for you to learn some tricks to reduce mobile data usage on iPhone, iPad and iPod touch.